Arik's Glowing Object - for lights, buttons, etc. 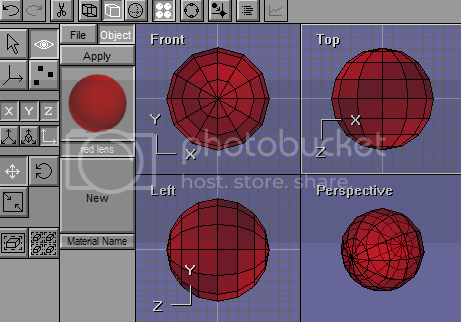 Name this Object "Red Sphere": SETTINGS > OBJECT ... > "Red Sphere"
Make a 50 diameter cylinder, turn it so that the end faces Front... convert to mesh, and delete all points, vertices and faces except for one of end panels. Be sure that the panel shows on 0 from top and side views as well as front. Name this Object "Glow Panel": SETTINGS > OBJECT ... > "Glow Panel"
Creates a red ball with a glow inside. 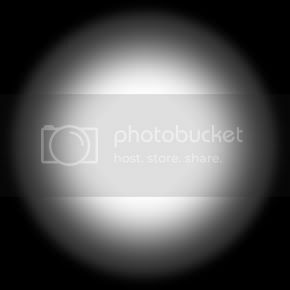 Key effect is that the glow is always round from the camera view, because it is set to always face the camera. Double-Click on the glow pane object, bringing up the Object Parameters panel.and name this eobject "Red Sphere"
Hide the sphere: Select the sphere object, and hide it for the moment... Keyboard Command: <lowercase-h> or EDIT > HIDE... We hide the sphere so that we can work with the next object - the glow panel - and more easily set it up to function with the red sphere. 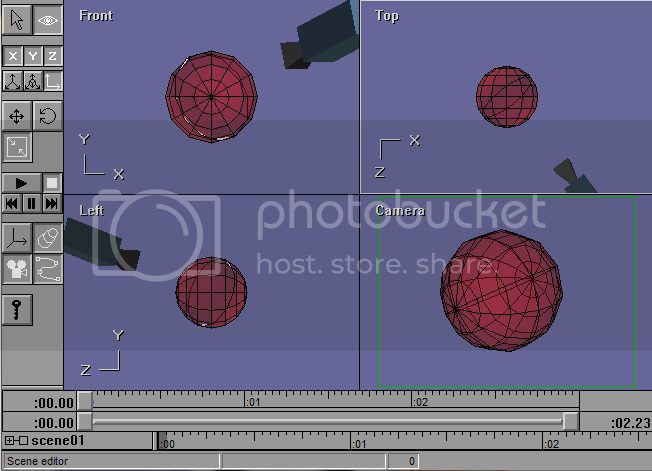 Double-Click on the glow pane object, bringing up the Object Parameters panel. and name this eobject "Glow Panel"
Set "Parent" field to read: "Red Sphere"... this attaches the glow panel object to the red sphere so that where ever you move the red sphere, the panel will move as well. Set the Orientation by clicking on "Facing Other" and filling in the "Other:" box with the camera name (camera01 is the default name, unless you renamed the camera). NOTE: Be absolutely sure you have clicked on the "Facing Other" circle check, or this step is wasted and needs done again. Now, the glow panel will always face the camera. Press "OK"... NOTE: The glow panel will disappear, because it has joined to the red sphere, which is hidden... thus, both are now hidden. 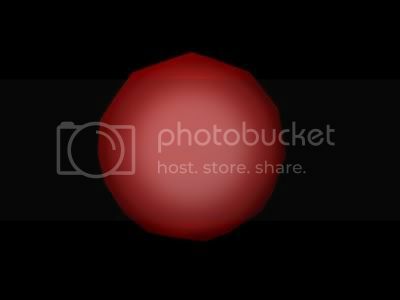 The ultimate result should be a red sphere with a glow inside, the glow always facing the camera. One major downside to this is that, if the camera is not facing the glow panel directly, it may have odd, not properly round, appearance. Feel free to adjust Ambient and Brilliance in the Glow Panel object's material, increasing the values to increase the intensity of the glow effect. 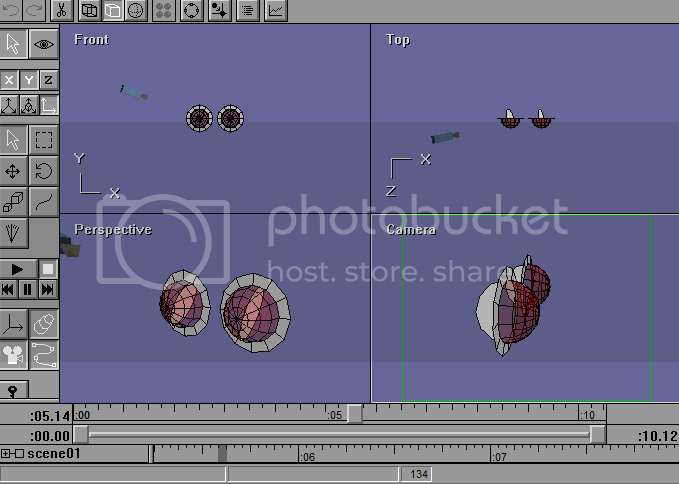 NOTE: The above render was performed in Scanline render option. Results vary depending upon which Renderer is used. 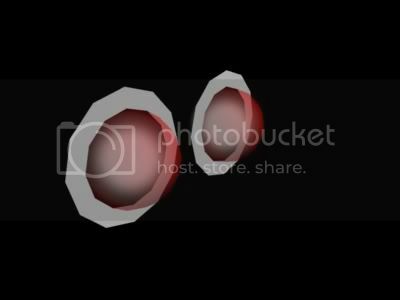 For example, ART Ray Tracer may require a much higher Ambient and Brilliance to get the desired bright glow. Take note that the glow appears unchanging and constant ball of light, though it is really a 2D panel with a transparency glow texture. Re: Arik's Glowing Object - for lights, buttons, etc. If anyone takes on this idea and creates something, I would love to see what you come up with. Comments and criticisms are much welcome. 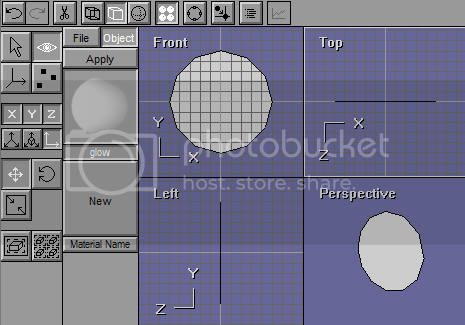 I use a similar effect for planetary atmospheres, except I use a duplicate of the planet mesh instead of a panel. Instead of using the Emissive property, though, I use a very high (>2) diffuse value, tinted to the appropriate color. Yea I did the same for the planet I did a while back ago, if you did up some older post of mine you can find it here somewhere.